Housed in the magnificent Jonsbo MOD1 chassis the Sentinel Panther not only offers ultimate performance but it's also the ultimate attention grabber, thanks to the tempered glass panels and unique open air design of the chassis. 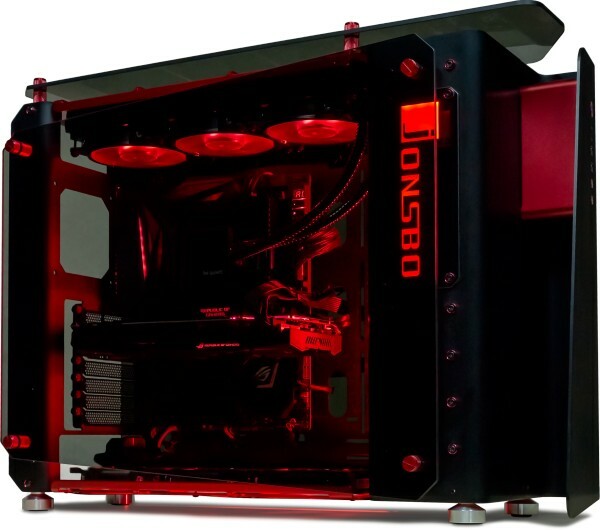 When the Jonsbo released the MOD1 chassis we had to design a system suited to it flamboyant nature. We focused on the fact the MOD1 features tempered glass panels on both sides as well as the top, therefore the system had to look spectacular no matter what angle you looked at it. When deciding on which components we wanted to be available for the Sentinel Panther it was clearly obvious that we had to do things slightly differently compared to our other systems. 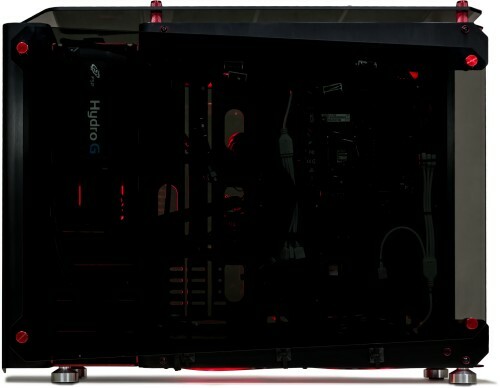 This is why we decided not just to air cool the CPU but also have an All-in-One watercooling option along with a RGB lighting kit (more info on that below). We have also slimmed down the list of options for each category so only the very best products are offered. We also came to the conclusion that we had to offer a high end motherboard which is why we opted for the ASUS ROG MAXIMUS IX CODE. This motherboard is crammed with features, exquisite audio, M.2 cooling, ASUS Aura Sync lighting and much more. It also features ROG Armour which is a strong ABS cover that not only looks great but also helps to keep the motherboard cooler by preventing heat being transferred towards it. 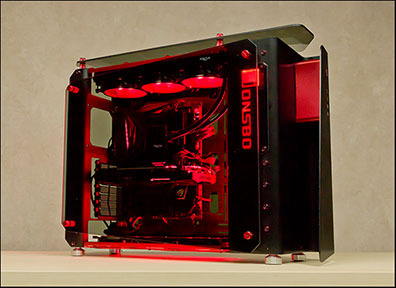 Lastly, being Quiet PC the overall noise of the PC was always a concern for us which is why each fan installed is PWM and connected to a resistor which reduces its maximum speed and therefore noise output, without compromising cooling performance. After many weeks of development and product testing we believe we have finally have a PC that remains quiet but looks like no other PC we currently offer. As you can see in the images of the Panther it is possible to configure it with RGB lighting Kit. Each kit consists of six Cooler Master 120mm MasterFan Pro RGB fans, a Nanoxia Rigid RGB LED and all the necessary cables to connect them to the motherboard. With this option selected it is possible, using the installed ASUS Aura software, to control the effects of the RGB lights, which includes light from the following sources - motherboard, graphics card, all case fans and the rigid LED. Please note it is not possible to change or mange the colour of the Jonsbo logo, that will remain red or green depending on which colour case is chosen. When you receive your new Panther system please be aware the glass side panels will not be installed as shown in the images above, therefore they will need to be attached to each side of the chassis. This to prevent any damage during transit of the system. The process is quite simple as each panel is held on by four bolts. It is much easier to install the side panels with the system laid flat while the adjacent side panel is attached, rather than trying to install the side panel while the system is standing on its feet.